Have yall seen the new wedding donkey who acts as a waiter carrying beers and presents to guests? We are kind of obsessed. If you haven't seen this, don't worry I have attached a picture below, because it is pretty great. Three Oaks Barn is the perfect place to host all of your wedding animal dreams. With a wide range of land and an outside venue, I would say it's pretty spot on perfect for your special day. 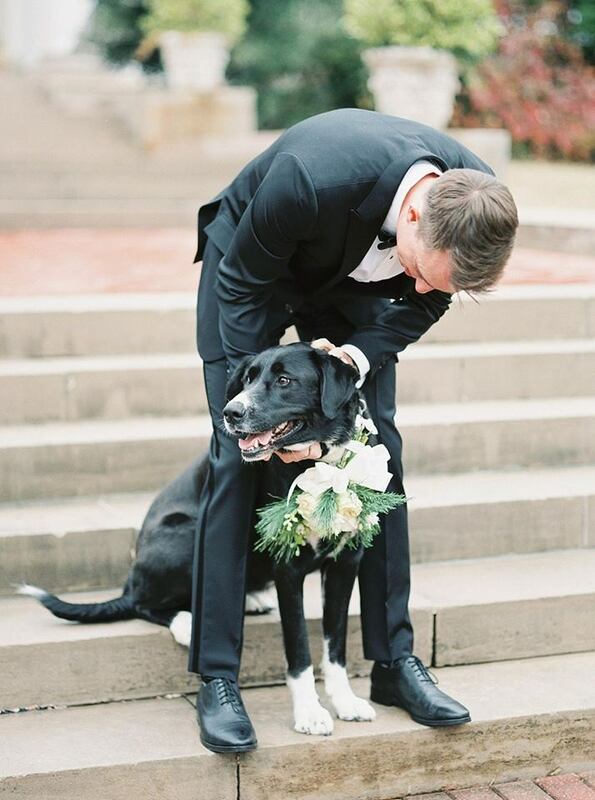 If you aren't sure how to correctly include your animal here are a few ways to feature your pet on your special day. We haven't had this animal visit the farm yet but we are so ready! Hello, adventures bride! Would you like to be brought in on a horse or leave on a horse or both? A real-life fairy tale. 4) Last but not least the unicorn. 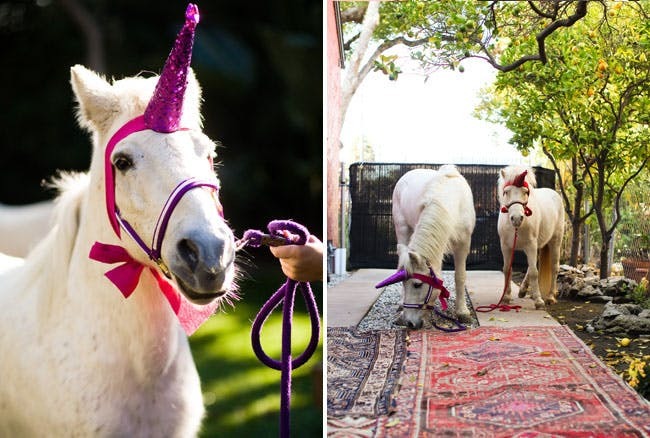 I mean what bride doesn't want a unicorn? Here in the south, we tend to love traditions however lately we have seen a few of our couples shaking it up a little by embracing the new wedding trends. We absolutely LOVE it. From unique tablescapes to first look with dad we can't help but fall in love with these new trends. Here are a few of our favorites. When the night has finally come to a close, and it is time to make your grand exit. What will you use for your wedding exit toss? Will you go with the traditional throwing of rice or the newest trend and have your guests throw colorful confetti. If you are not sure, do not fret we are here to give you a few ideas that may help with your decision. Hello, newly engaged beauties! I am here to give a PSA on the CUTEST flower girl dresses on the internet. Are you stressing about where to find unique one of kind bridesmaid dresses? Look no further we have found the top 3 new shops to find the perfect dresses for all types of brides.